The Expanse: Who Invited the Martians? 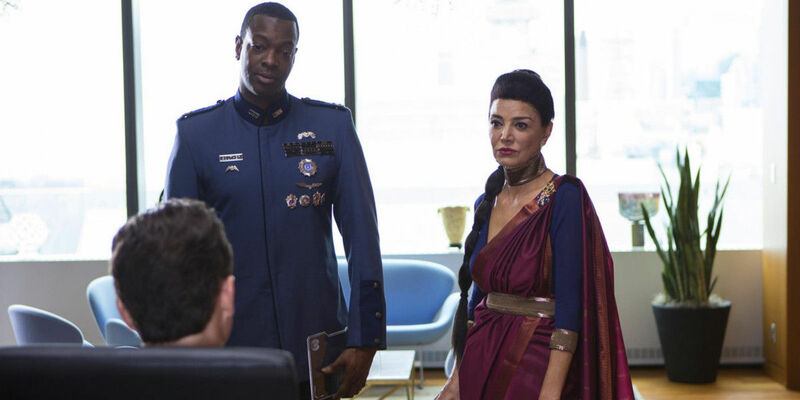 The Expanse continues to expertly stretch its space muscles this week as Earth and Mars teeter on the brink of a war that could change the galaxy forever. The U.N. representative Chrisjen Avasarala in last week's two-part premiere said "the cold war is over" and that appears to be true. People are starting to pay with their lives. Character building is no easy task in the world of television, especially when your story consists of such a large ensemble. Chrisjen is a fine example of how good character development can be accomplished in such a short time. When a Martian ambassador named Franklin Degraaf (Kenneth Welsh) shares a story from her past about a poker game, we can immediately see what kind of person she is. There are no simple black and whites in the world of The Expanse in terms of its morality scale, but very intricate layers of grey for these characters to exist in, which makes them so fascinating. Chrisjen may not be a "bad person" so to speak, but will she forget those closest to her when push comes to shove? The former crew of the Canterbury participated in one of the better interrogation scenes this reviewer has seen. Like Chrisjen, their characters were fleshed out in a matter of minutes. Jim Holden comes from an interesting background of mixed genetics, military and privilege. He's running from something, but what that is still remains a mystery. His other shipmates are equally as interesting. In one of the funnier comedic bits this week, the medic Shed Garvey's admitting to running away from a drug dealer that wanted him dead was spot on. It's not wrong for a show to be dark, but the best series out there, like Game of Thrones, Mad Men, and Breaking Bad know how to balance the dark with a little comedy every once in awhile. This trait, along with many others are why this show excels. Naomi Nagata and her brutish lapdog Amos Burton are the wildcards in this vast universe. Naomi appears to be O.P.A., but to what degree is uncertain. Perhaps she is the one who knows who's behind the Canterbury's destruction, yet her interrogation session points to the contrary. Either way, the lovely Dominique Tipper is a joy to watch on screen. 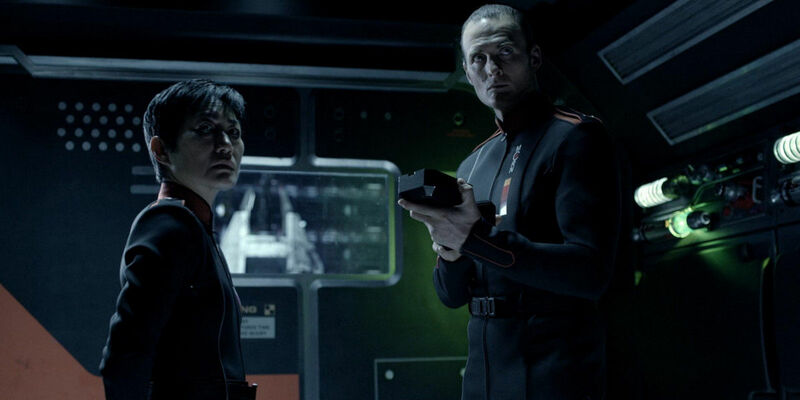 Excellent casting is yet another strength The Expanse has in spades. Back on Ceres, Detective Miller continues his search for Julie Mao, but is constantly being sidetracked due to the O.P.A. 's protests about Mars stealing their water. Sadly, young Dimitri Havelock (Jay Hernandez) got caught in the crossfire. Here's to hoping the new detective survived the attack, but it doesn't look good. If Havelock is dead, then it will be interesting to see what this does to Miller's search for Mao. Will he want revenge for the death of his partner, or continue investigating his missing persons case? Only time will tell. Even in its infancy, The Expanse has earned the right to be considered as one of the better dramas on television by continuing to improve week after week. The introduction of O.P.A. liaison Anderson Dawes (Jared Harris) adds another compelling layer of complexity to this already dense plot. There are a lot of moving parts here, but so far, the writers seem to have things in working order. What did you think about the events of tonight's episode and where do you see the show going from here? Keep watching to see what happens next.